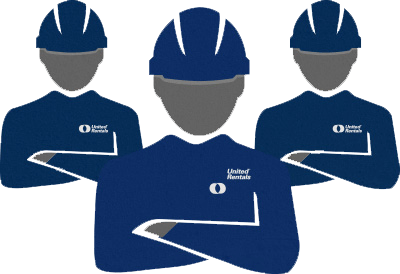 As North America’s largest provider of commercial and industrial rental equipment, United Rentals is also an industry leader in jobsite safety and compliance. We train 1,000’s of workers each year in jobsite and operator safety, OSHA certifications and more, with a robust list of courses delivered by a team of professional trainers or online. United Academy classroom and blended learning training can be completed onsite at your location or one of our 100’s of participating locations throughout U.S. and Canada. Courses are also available online, providing convenient 24/7 access to training when and where you need it, without conflicting with the work day. Many courses are available in Spanish and French in addition to English. 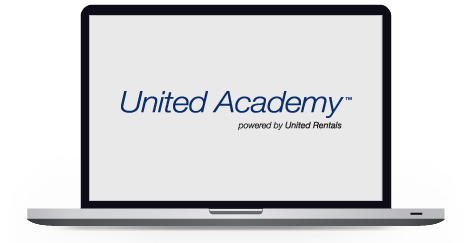 You can save time and money by storing and maintaining training records and certifications through United Academy and easily access student Training Profiles using our wallet card and mobile app or a computer. Manage training taken through United Academy as well as outside the Academy for yourself or your team, verify worker certifications, and ensure that when work gets done at your jobsite it gets done the right way --- the safe way. Select from a robust library of courses including operator certification, train the trainer, and OSHA required training such as 10-hour, 30-hour, Confined Space Entry, and Competent Person Trenching and Excavation. Training is led by a team of certified trainers with years of experience in educating and protecting workers and job sites. 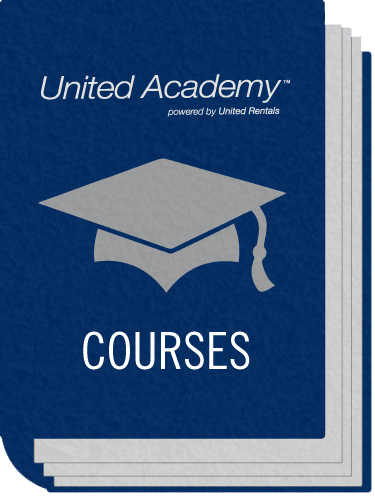 Every course taken through United Academy is stored in our online database, and available through secure personal identification codes or QR code (issued upon successful completion of an individual’s first United Academy course) that allows both individuals and employers to view, store, and update training records. Courses are available onsite, at a local United Rentals location, or 24/7 through our innovative online training platform.